Pallet wood improves the home interior spaces so it is also held much precious for outdoor and garden accents and decors. 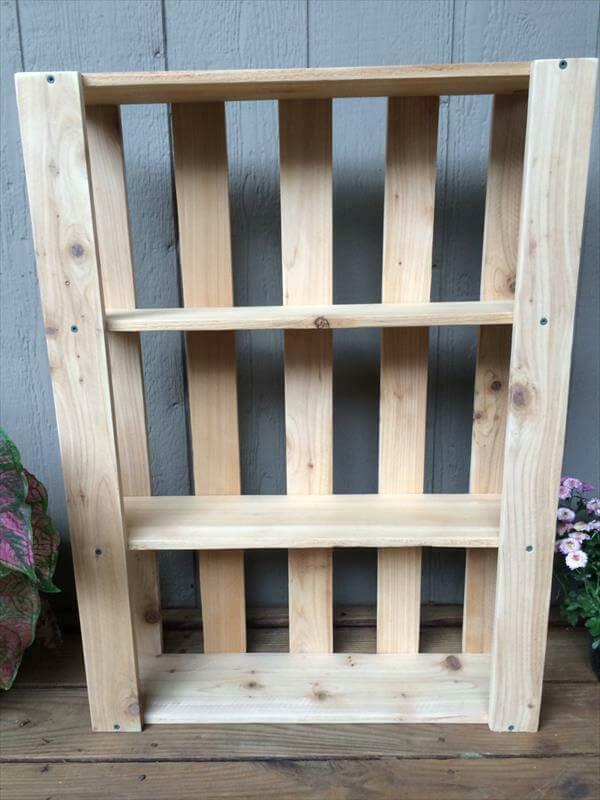 Here we have created some DIY pallet wall hanging shelves which we have constructed for our outdoor garden wall. Different ledges and shelves can hold plenty of things and garden pots to make great view. 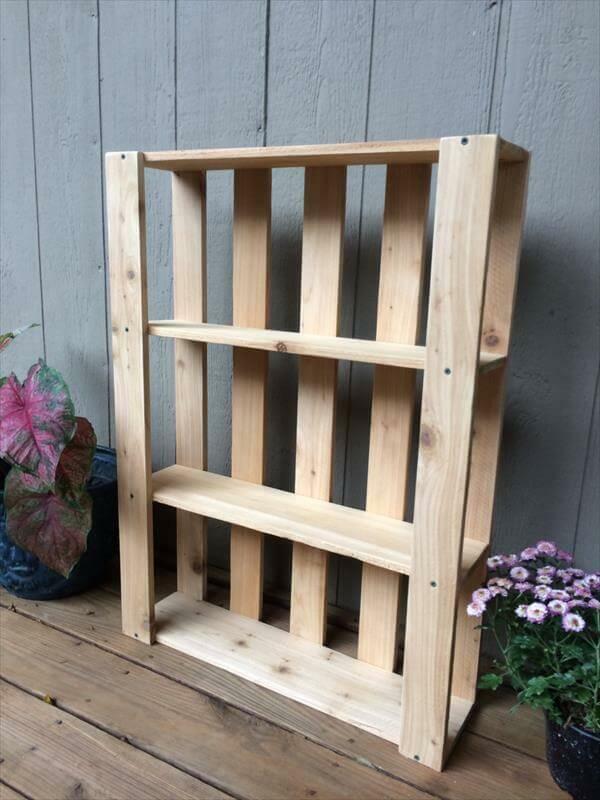 You can also use it for home and room storage needs like it will act great as a DIY reclaimed pallet bookshelf if you like to do so make your books well stored. Wood has been gritted and sanded so you can see an appreciated shine on the wood grains. Pallet wood has various meaningful purposes and also provides great ways to get your home perfect for a comfortable life style. 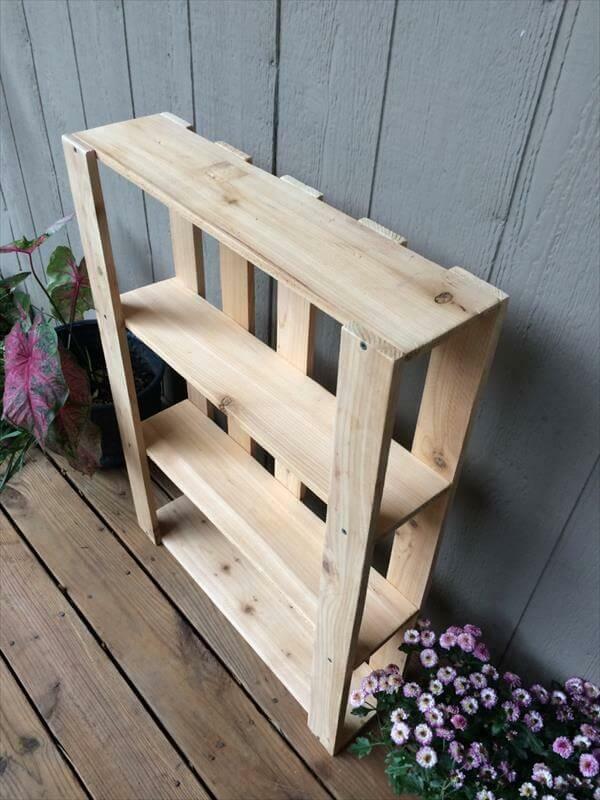 Pallet wood is just a great blessing for short budgeted people as they can obtain the daily usable furniture out of it with a little bit creative thinking and effort. 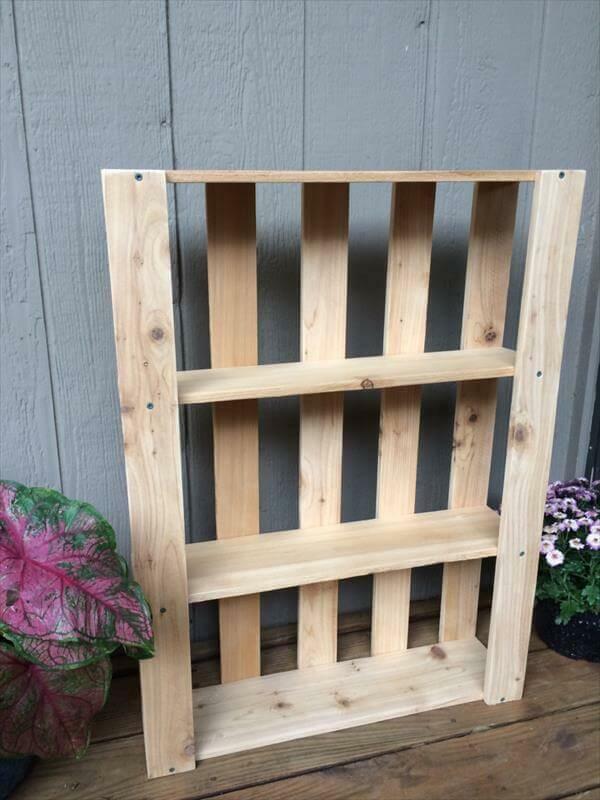 This shelf DIY pallet idea will compliment great to home walls and garden decors.